“I can’t believe I’m leaving you in Paris,” I told my daughter as we hugged goodbye on the Boulevard St Germain. “I’m more worried about leaving you on the metro,” she replied, deftly handing me a train ticket and a bright pink Post-it note with scribbled instructions to Charles de Gaulle Aéroport. We’d just spent two action-packed days together and it was time for me to head home while she embarked on her new student life in France. Determined to allay her fears, I strode confidently through the metro gate (getting my suitcase wedged in the barrier in the process) and hopped on the train to Châtelet-Les Halles. But after that, everything came unstuck. As I waited in vain for the RER (the express train that connects the city centre to the suburbs), I started to panic. My flight was due to leave in 90 minutes time and I was still miles away. Then suddenly a couple walked past and murmured something incomprehensible. “Je suis Anglaise,” I replied – my default response when I haven’t got a clue. The man replied in faultless English and told me the train to the airport wasn’t running. We apparently needed to get a train to Mitry-Claye, a place I’d never heard of, then catch a bus. It sounds ridiculous but I instinctively knew I could trust the pair. I hurried on to the packed Mitry-Claye train behind them and we hurtled through the grey suburbs of north-east Paris together, past places I’d be afraid to walk alone. The man told me he was originally from Cameroon and was on his way home to South Africa from a business conference in the US. He and his wife had stopped off in Paris en route to see friends. When we finally reached Mitry-Claye I lost sight of them in the melée. As hordes of passengers tore down the platform in search of the airport bus, a few RER staff in red T-shirts apologetically handed us a tiny biscuit each. Not exactly what you’re after when you’re about to miss your plane, but still. PS. The kindness of strangers Part 2 is here. I’m pretty much the same, Jill. My French is very ropey and I promise you, if I managed, anyone can. I hope Lydia has a wonderful year. It’s so exciting for our daughters! It always renews my faith in humankind when things like this happen. Its great that you got the assistance you needed. 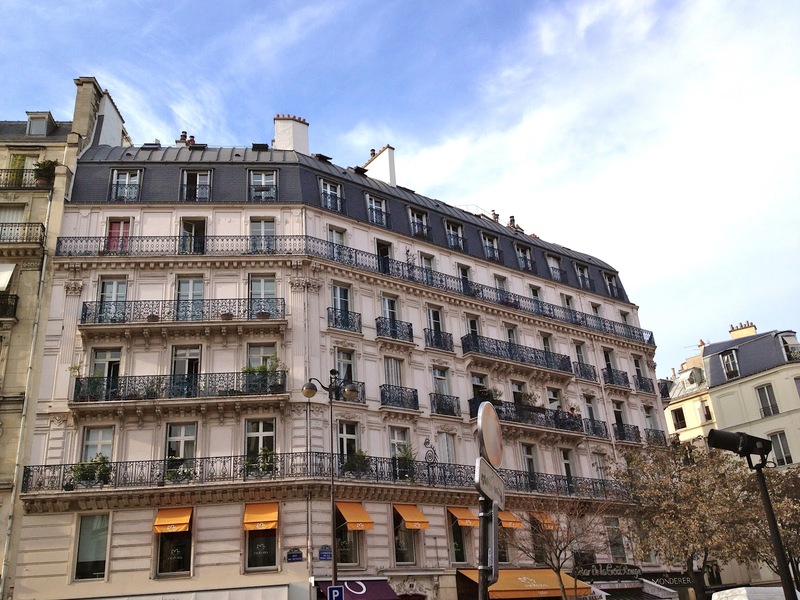 I found your blog via the Britmums MBPOW linky and it warmed by heart on reading it…..I was a student in paris for a year and it brought such memories back! What is your daughter studying there, is she working? I do hope that her french is better than yours lol! They were SO kind. I just feel sad that I didn’t get to say thank you. How lovely to be a student in Paris for a year. I wish I’d done something like that. My lovely daughter is studying history – and thankfully, her French is WAY better than mine!